Claire Williams takes the train three times a week for work. Claire feels the focus required to drive for an hour into the city impacts on her work. Physically, the long drive isn’t good for her body either. The Capital Connection running from Palmerston North to Wellington daily has been a lifeline to many of our residents since its inception in early 1991. For some years now, the possibility of this service being cut has hung over the Capital Connection,with latest reports stating the train will not run past July of this year. If this is to occur, the effect this would have on the people who use the service would be profound. Whilst many acknowledge they would still be able to reach their destination, having to find another means of transport would cause a variety of problems. These issues have been outlined by the passengers spoken to on the platform during the last few weeks. One of the longer serving passengers, Lyall Payne, states that it would be possible to drive to Waikanae and take one of the units, but to do so would mean forsaking the ability to prepare for work in the relaxed environs which the Capital Connection provides. Furthermore, Mr Payne said he would miss the sociable aspect of the train, which he believes doesn’t exist on other services. 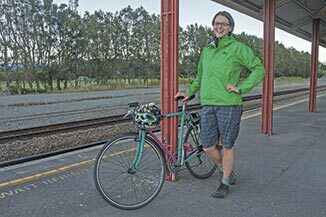 Erika Toleman takes the train into Wellington for work twice a week, and she would have to consider buying a second car if she had to drive to Waikanae. This isn’t an option for her. Others have pointed out more general problems which would occur if the service were to be axed. Susan Williams, who has used the train to travel to work for the last three years, says she could drive to Waikane and travel by train from there, but points out that if people were to do so in large numbers, car parks in Waikane would be stretched to their limits. 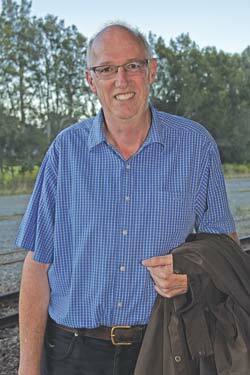 This point was also echoed by Ron Whelan, a user of the train for six years, who mentioned how far from Waikanae station he would have to park, if he was to catch a train there, instead of catching the Capital Connection from Otaki. Mr Whelan also mentioned how he has observed numbers growing on the platform at Otaki, a point also made by Mr Payne, among others.Mrs Williams also went on to say that the Capital Connection takes a lot of very tired people off the road; a point which can easily be confirmed judging by the number of people who sleep on the train. Susan Williams has been taking the train for the last three years. She notes the importance of keeping tired drivers off the road. Although the Capital Connection is mainly considered as a means for people who work in the capital to reach their workplace, it also plays a valuable role for others who use it less frequently, but no less consistently. 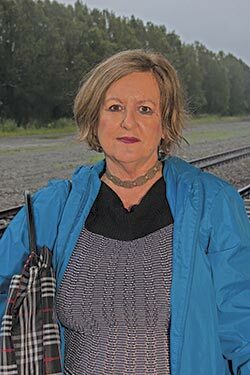 Ann Chapman, when commenting on an Otaki Facebook forum about this issue, wrote that she used the train for a year to care for a sick relative. No doubt there are many others like Mrs Chapman who also use the Capital Connection for non work related purposes. So it could be that the final decision has been made regarding the fate of the train, and that this decision cannot be reversed. 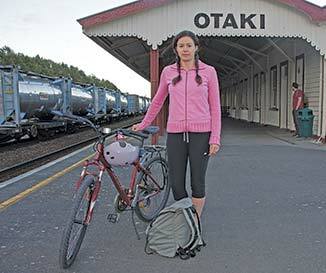 In it’s own small way however, The Otaki Mail would like to give a platform to those who live in our town, use the train, and would struggle without it. We sincerely hope an outcome can be reached which keeps this service alive. Editor: Do you have a story of the Capital Connection that you’d like to share with us?